The Family Lawyer is Selina Trigg, Director of one of New Zealand’s largest specialist family law practices. A self-confessed family law geek, I have been practicing exclusively in family law for over 15 years. I am lucky enough to still be able to say I never have a boring day in the office. Working with clients to resolve their family law issues and seeing the vibrant tapestry of human behaviour that I encounter each day never fails to fascinate me. I get to work alongside Family Law Results’ great team of enthusiastic lawyers and support staff and I spend a reasonable part of each day sharing ideas with them about the progression of our clients’ matters. I split my working time between Family Law Results’ offices in South and Central Auckland but my clients are from throughout New Zealand and, thanks to technology, elsewhere in the world. I undertake work for clients in all areas of family law including adoptions, surrogacy, family property issues, parenting arrangements and family violence. While I enjoy litigation, I am also hugely inspired by the results that alternative dispute resolution can offer people going through a separation or family law issue. I am a trained mediator and am on the Ministry of Justice’s list of approved mediators for Family Court disputes. I am an accredited member of the New Zealand Law Society’s panel of Mediators as a family law specialist. I am also a trained Collaborative Law Practitioner and am current Chair of the Collaborative Law Association of NZ. Any time I have away from work is spent with my other great loves: my partner, my infant son and my two teenage stepchildren. Outside of work, one of my key strategies for winning friends and influencing people is to keep their stomaches happy with the results of my cooking. If I am not in the kitchen or playing with my son, I am generally writing, reading (usually cook books! ), watching movies or trying to move some home projects from “inspired idea” to completion. This blog gives me the opportunity to combine my enjoyment of family law with my enjoyment of writing. I hope it will inform you, give you a few “A-Ha” moments and give you an insight into why family law fascinates me so darn much. 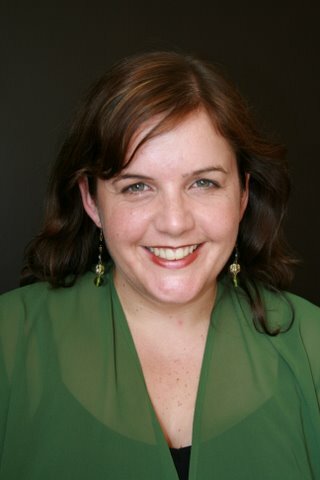 ps: You can read more about me and the rest of my team at Family Law Results at www.familylawresults.co.nz. Hi,finding a lawyer that really wants to help you in the family law situations is a hard find!But you sound like a sympathetic family lawyer (i find its usually the lawyers that have children in this case).Anyway to the point.I have a very hard case i have been dealing with for the last 2yrs.CYFS took up a good yr of this firstly in the utmost un-professional mannner.They uplifted my 8yr old son and left the youngest and most vulnerable 3yr old in my care! ?My daughter is still with me and is just about to start school and my son who is now 10yrs is living with his father.We are still going through the court process and are no where closer to where we were 2yrs down the track.It is a complicated case.My son has only seen his lawyer once and that was 2yrs ago! Should he have not seen my son again recently to talk with him properly being 2yrs more mature,but not only that but is it not professional to only see a client once no matter the clients age?My son has asked to see his lawyer on a numbers of occassions but has been denied this through adult ‘games’ on his paternal side of the family.I have no faith in my lawyer and the stress of it all has had major effects on my son,daughter,myself and my mother(who is also denied access without supervision so sees her grandson once a every 2wks at Barnados. Thankyou for your time and i look forward to hearing from you. I am an Executor and also a beneficiary to my later Mothers will.the original will states equal shares to the 4 children Apart from the will that was at her lawyers of 25 years, there was also the same will with handwritten changes leaving everything to my sister that my sister produced, she has engaged a lawyer to make this ‘deceased instructions’ valid. The estate is a half share in a property (value of half share around $120,000), There has been much conflict in the family with 2 sisters agreeing to the handwriiten will and myself and my brother disagreeing, I have been told to get legal advice, I am not sure if this is worth pursuing as a claim under the family law act as the cost of a lawyer that I instruct may outweigh my share if I were to be successful. I would like a Judge to rule on which will should be made valid, what are your thoughts on this? I’ve just recently had a case where my legal aid bill is almost reaching $9,000, I won my case regarding family court matters as well as criminal court issues why is it that I still have to pay even though my cases won? Hi Vic, thanks for commenting. Legal Aid regulations are such that legal aid for family issues is treated as a loan which is generally repayable even irrespective of the outcome of the case. There are some exceptions but generally legally aided clients will be required to make repayments of their legal aid grant back to Legal Aid. I hope I can also look for a family lawyer here in our place just like Selina Trigg. my partners ex has been granted day-to-day care of their daughter. She will not let the daughter come to our house, i have never been allowed to meet her because her mother wont allow it to happen. My partner is only allowed contact with the child if i am not with him. her mother has told her lies about me and has told the child that her dad doesnt love her and he only loves my kids. i think this is wrong and my partners daughter should be encouraged to come and spend time with us. What can we do?